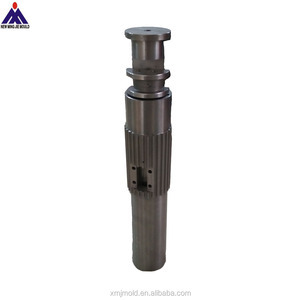 2 YRS Dongguan New Ming Jie Precision Mold Technology Co., Ltd.
OEM cnc machining carbon steel spline shaft for automotive spare parts Capabilities: 1.Vcnc milling the workable length 5-1000mm the workable diameter 5-500mm the tolerance 0.005mm the operation system of the machines FANUC R & D engineering team design the technical drawings STP,IGS,PRT,AUTOCAD,PDF. 3.The fa b rication Our plastic injection machines could do the mold injection parts and the assembles from 0.005kgs to 1.5kgs ,we are also experienced in the stamping ,the bending ,and the welding ,our equipments are advanced in these fields,so we are always doing the exellent fabrication job. In the fabrication,we often use the melting welding,the pressure welidng,and the laser welding, the experienced technicians do the melting welding perfectly , the welding seam is straight , there are no gaps , no holes , no welding slags . 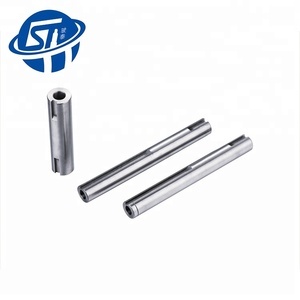 2 YRS Jiangsu Sitong Cardan Shaft Co., Ltd.
5 YRS Dongguan Sunrise Precision Electromechanical Technology Co., Ltd.
low noise cnc machine parts hardened chrome plated spline flexible shaft for industrial machine product description Linear shaft ERSK Linear offers linear shafting in a variety of different options to meet a wide range of customer needs. 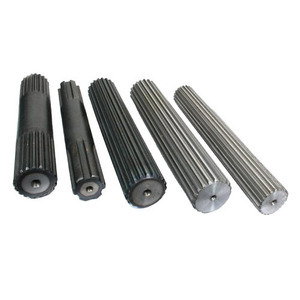 2, Wooden box outside for big quantity or very long ball screw shaft or linear shaft 3. 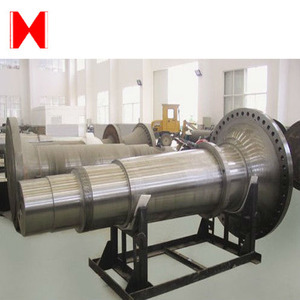 We can also packing the bearings according to customers' special requirement; We have professional personnel to operate. There are Two Processing Centers which are produced linear blocks and machinized according to the drawings. 2 YRS Zhejiang World Machinery Manufacturing Co., Ltd.
2 YRS Zhejiang Zoro Machinery Co., Ltd.
*ISO 9001:2008. ------------------------------------------------------------------------------------------------------------------ Payment term *T/T : 30% pre before delivery. *Western union -------------------------------------------------------------------------------------------------------------------- Service *Delivery on time. ----------------------------------------------------------------------------------------------------------------------- Mainly supply *Mainly processing and manufacturing various kinds of metal parts and screw, nut, rivet of national standard and non-national standard. 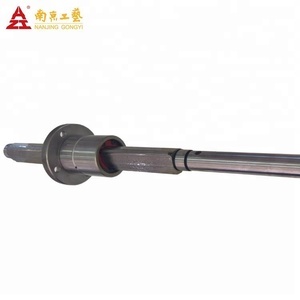 1 YRS Renqiu Lijiu Transmission Parts Co., Ltd.
Good Synchronization Performance Linear Motion Ball Spline Shaft WCS45 About Our Company Lishui City Yongrun Precision Machinery Co.,Ltd. Q:Where is your factory located in9 A:Lishui,a very famous city in China to supply linear motion products. Q:What is your delivery time9 A:For small quantity we have in the stock,large quantity need 10-15 days. 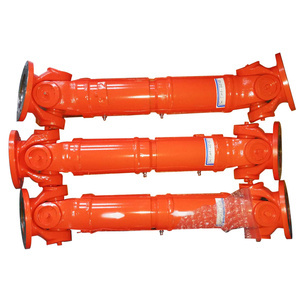 8 YRS Jiangyin Golden Machinery Equipment Co., Ltd.
Alibaba.com offers 10,393 spline shaft products. About 53% of these are shafts, 3% are machining. A wide variety of spline shaft options are available to you, such as spline, flexible, and gear. You can also choose from steel, stainless steel, and aluminium. As well as from black oxide, nickel. 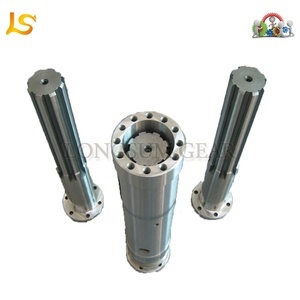 And whether spline shaft is linear, broaching, or drilling. 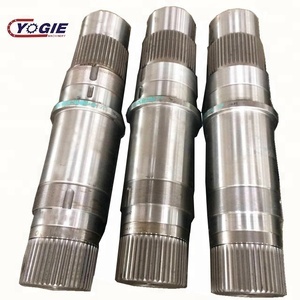 There are 10,393 spline shaft suppliers, mainly located in Asia. 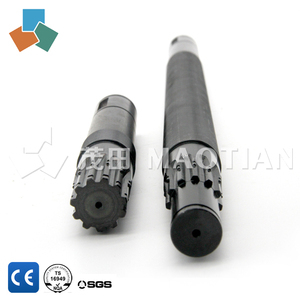 The top supplying country is China (Mainland), which supply 100% of spline shaft respectively. You can ensure product safety by selecting from certified suppliers, including 5,127 with ISO9001, 2,737 with Other, and 1,151 with ISO/TS16949 certification.